A new poll of voters in the 50th Congressional District shows Rep. Duncan Hunter leading, but below the 50 percent threshold. The poll by 10News and the San Diego Union-Tribune surveyed 567 registered voters in the sprawling East County district that has been represented by a member of the Hunter family since 1981. Hunter was favored by 43 percent, followed by former Obama administration official Ammar Campa-Najjar at 10 percent. A total of 25 percent of respondents were undecided. Under California’s top-two primary system, the two candidates with the most votes will go on to the November election. 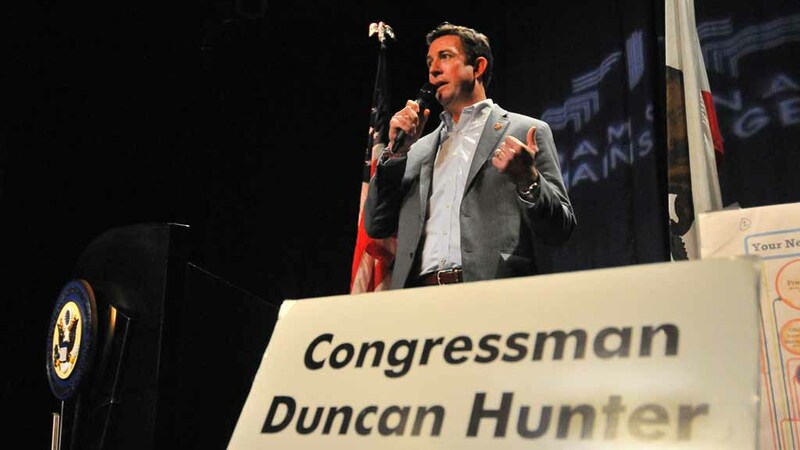 Hunter was the first member of Congress to back Donald Trump’s presidential campaign, and his largely rural district is supportive of Trump, according to the poll. The poll also found that the Justice Department investigation into Hunter’s election finances is taking a toll on his support.